Nicholas Hytner directs Shakespeare’s OTHELLO, opening in the Olivier Theatre on 23 April. 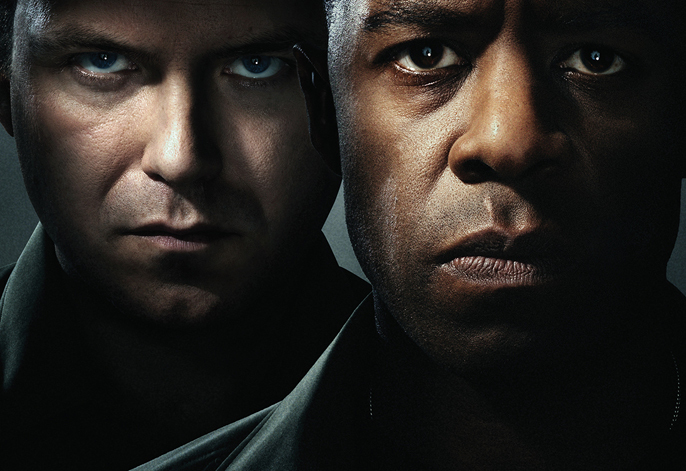 Adrian Lester plays the title role, with Rory Kinnear as Iago; the cast also includes Jonathan Bailey (Cassio), William Chubb, Tom Demeger, Jonathan Dryden Taylor, Gabriel Fleary, Roksaneh Ghawam-Shahidi, Lyndsey Marshal (Emilia), Tom Robertson, Nick Sampson, Chook Sibtain, Olivia Vinall (Desdemona)and Joseph Wilkins. The production will be designed by Vicki Mortimer, with lighting by Jon Clark and fight direction by Kate Waters. Adrian Lester, an NT Associate, was last seen at the National in the title role of Nicholas Hytner’s production of Henry V. His theatre work also includes Red Velvet at the Tricycle Theatre (2012 Critics’ Circle Best Actor Award), Cat on a Hot Tin Roof (West End), Company (Donmar Warehouse, Olivier Award), the title role in Peter Brook’s production of Hamlet (Paris/international tour) and Rosalind in Cheek by Jowl’s As You Like It. His screen work includes five series of the BBC’s Hustle. Rory Kinnear’s work for the National includes The Last of the Haussmans, the title role in Hamlet (also directed by Nicholas Hytner; Evening Standard Best Actor Award), Burnt by the Sun, The Revenger’s Tragedy, Philistines and The Man of Mode (Olivier and Ian Charleson Awards). His film and TV work includes Black Mirror: The National Anthem, Skyfall, Quantum of Solace, Count Arthur Strong and Margaret Thatcher – The Long Walk to Finchley. Info: Othello is at the Olivier Theatre in repertoire until 5 October 2013. Book tickets, here. It will be broadcast to cinemas worldwide as part of National Theatre Live on 26 September 2013.